I got to meet Libby earlier this year when I was working on a project featuring dog athletes. 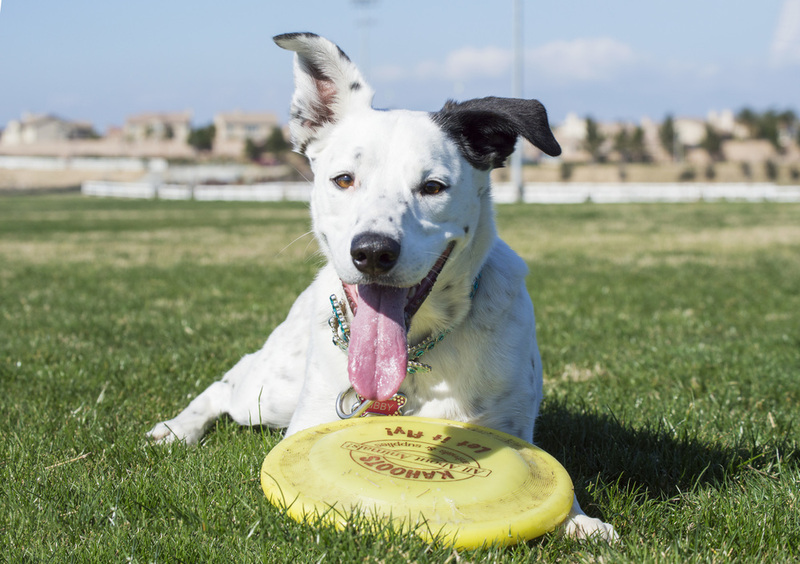 Libby is a Border Collie/Pit Bull Mix that is such an amazing athlete and loves frisbee. She is a natural and very rarely misses. She is very focused and when the frisbee comes out she is all about it. No nonsense here. Not only can she catch the frisbee at different distances but she can also to freestyle frisbee tricks. We had to really force her to take a break because she was always ready to go. She is such a beautiful girl and it warms my heart to see her thriving at something she loves. Her owner is a wonderful lady and really loves this frisbee queen!